Last year featured a lot of firsts. The first Overwatch League season, the first MVP, the first champions. 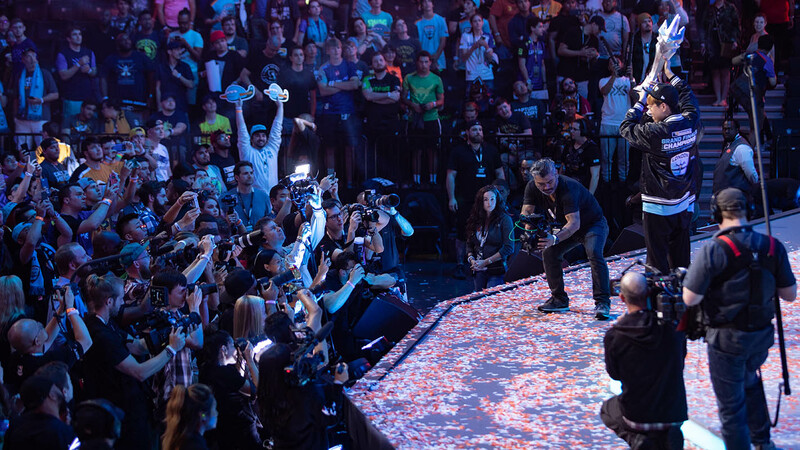 After the confetti settled and the spotlights were dimmed, another first began on Aug. 1, when the player signing window reopened: the first Overwatch League offseason. This is a competition of a different sort, one that doesn’t get broadcast every week, but certainly generates a fair bit of discussion around player movement, free-agent signings, and lineup speculation. With eight teams joining the league for the 2019 season and the introduction of two-way contracts, every organization had big decisions to make. Managers and coaches from five teams—two new, three returning—offered their insights on lessons learned from 2018, team-building philosophies, and how they approached the first offseason. Starting from scratch can be an immensely difficult and high-pressure task, but some general managers of new teams are choosing to embrace the freedom afforded by a blank slate. Looking to the past can reveal what works and what doesn’t, but there are no absolutes. For example, some original teams were able to transport an existing roster core to the Overwatch League and make it work (New York), while others couldn’t keep up with meta shifts (Dallas, Seoul). Toronto Defiant GM Jaesun Won says his organization decided to scout players that would be as meta-proof as possible. Won says Toronto began building the team in early October, shortly after Beoum-Jun “Bishop” Lee—who led the London Spitfire to their Stage 1 title before parting ways with the organization—was brought on as head coach. Having a head coach in place is vital for the process, a sentiment echoed by Mitchell, whose first act on the job was to announce the arrival of head coach Hyeong-Seok “WizardHyeong” Kim, who had recently parted ways with the New York Excelsior. Head coach aside, both GMs were emphatic on what the first roster building block had to be: putting together a strong tank line. Justice tryouts started in September, just after WizardHyeong was hired, and included more than 100 players from various regions, either in 12-person internal scrims or in groups of six against Contenders teams. Players swapped between various sets of teammates to make sure the staff could evaluate them fairly. The range of experience in the tryouts ranged from known Contenders talent to a couple players who only played for Open Division teams—“diamond in the rough-type candidates,” as Mitchell described them. 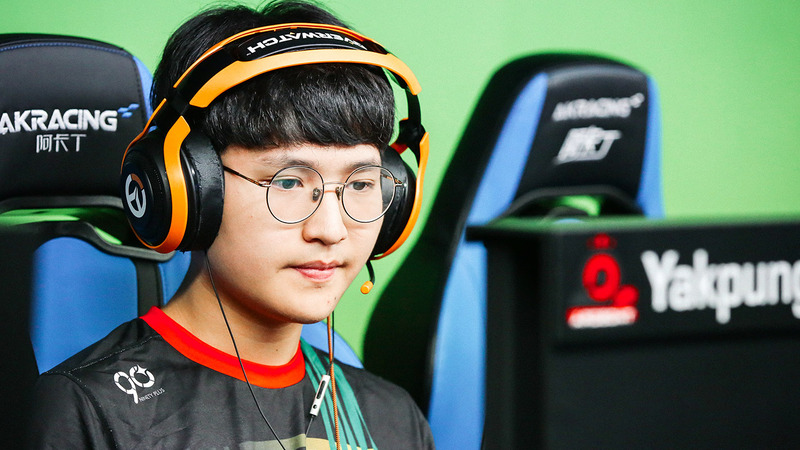 The Defiant also sought out a tank line to build around, and their linchpin player is off-tank Kang-Jae “Envy” Lee, who spent half of the 2018 season with the Los Angeles Valiant before returning to Contenders Korea. Finding a main tank to complement Envy proved to be challenging, as Won and his staff knew they needed to have the right fit for the position. Eventually, Toronto secured Kyeong-Mu “Yakpung” Cho from Contenders Korea Season 1 runner-up O2 Ardeont. For returning teams, their approach to the offseason was directly affected by the results of 2018. Teams that performed well exhibited less urgency to make sweeping changes, electing for the most part to keep their cores intact. If some of the top teams did tinker, it was largely in the form of streamlining bloated rosters or making key acquisitions to address specific lineup needs. The Los Angeles Gladiators finished the 2018 season with a 25-15 record and a playoff appearance, and their offseason moves could be categorized in that latter category. 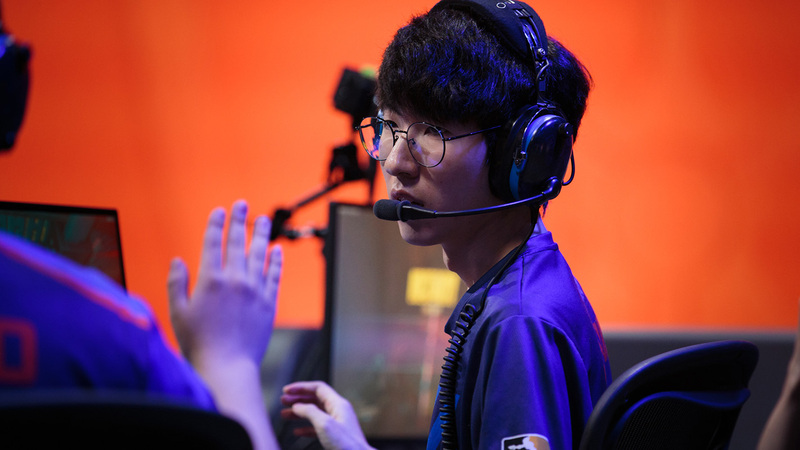 The team needed to replace their main tank after the departure of Chan-Hyun “Fissure” Baek, and the process started with a thorough review of players, coaches, and management. 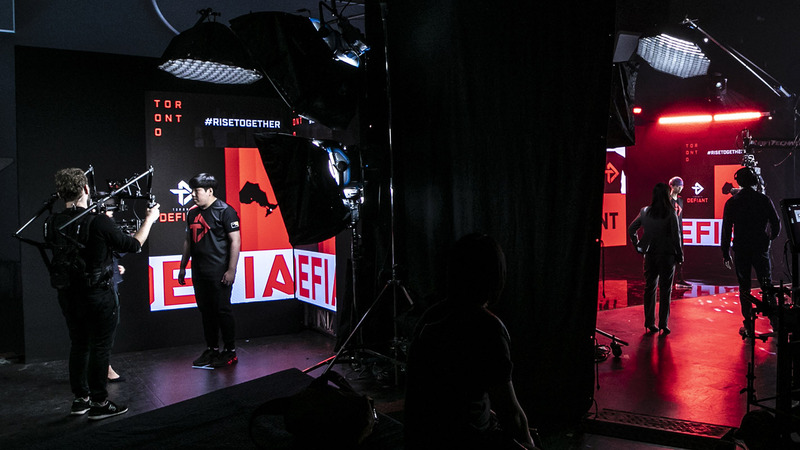 The next step was to hold trials, and the Gladiators were one of a few teams to announce open tryouts for both their Overwatch League and Academy team rosters, netting nearly 1,000 applications—“some more legitimate than others,” according to head coach David “Dpei” Pei. In the end, those who met the team’s SR (skill rating) requirements trialed alongside scouted players. One potential challenge that existing teams faced was the delayed signing period, which was designed to give the expansion teams first crack at signing top free agents. On the other hand, Dpei argues, being an established team—a known quantity—has unseen advantages when trying to recruit talented players. 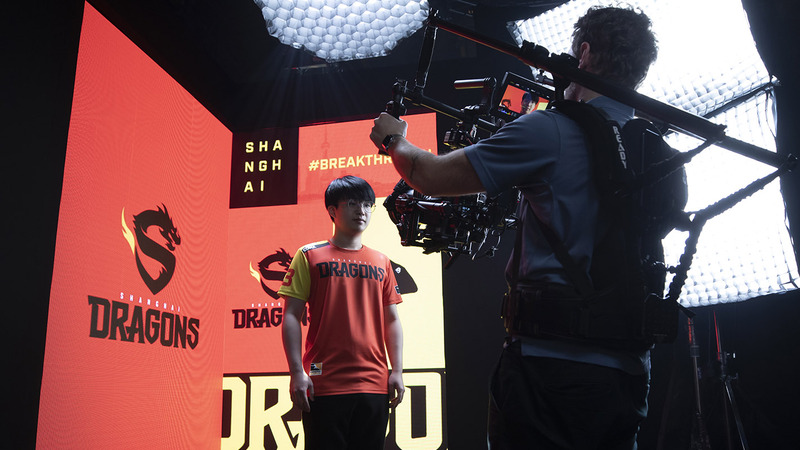 Two teams that struggled to evolve last season were the Florida Mayhem and Shanghai Dragons—both finished at the bottom of the standings. Both organizations essentially underwent total rebuilds, and both recognized the need to start as early as possible, even as the league playoffs were still ongoing. Yang said that the trial process began in July, lasted three months, and involved a few dozen players. In the end, Shanghai’s new head coach and players turned out to be Seung-Hwan “Bluehas” Wi and four members of his former team, Kongdoo Panthera, who had just made the Contenders Korea Season 2 Finals, plus a pair of Korean players from Contenders China. Rebuilding around a strong core should give the Dragons a new identity for the 2019 season. 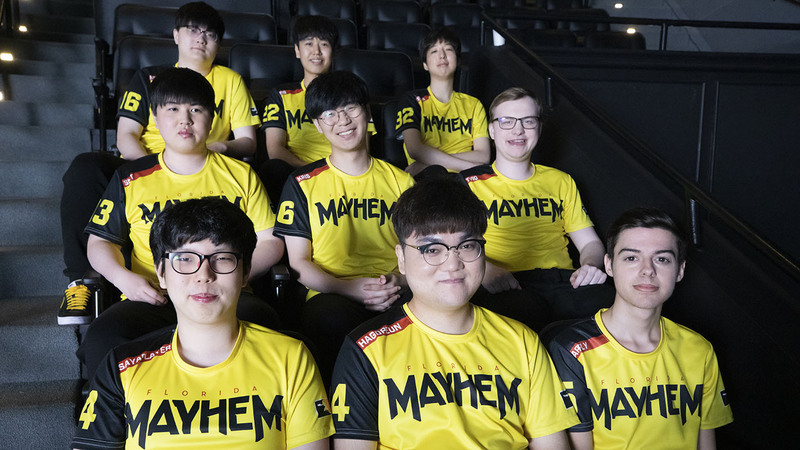 Mayhem GM Matt Akhavan Kim says that Florida took a very focused approach and was one of the first teams to begin trials. Kim only officially joined the organization in March and didn’t take over GM duties until the end of the season, but he still has a set plan for helping the Mayhem right the ship. One way to be more purposeful with roster construction, Kim says, is through two-way contracts, which allow for a limited number of designated players to play for an organization at both the Overwatch League and the Contenders level. As of the start of February, there have been six two-way contracts signed, one of them belonging to Florida’s young DPS prospect, Damon “Apply” Conti. Experience, especially in front of a live audience, is one intangible that is prized in professional Overwatch. Other qualities, like maturity and leadership, are valued in team-based competitions because they can help elevate a group of players above their individual talent. In the Overwatch League, there’s the added factor of stress management, as young adults—some of them operating in a professional setting for the first time—try to navigate a strict practice schedule with individual activities and live competition. As a GM, finding players who can remain unflappable under pressure, react well to coaching, and maintain a healthy work-life balance can be daunting. Mitchell says it helps to closely observe players during the tryout process, which is naturally a high-pressure situation for players. Then, as with any other hiring process, follow up with references. At the team level, fostering strong interpersonal relationships can be crucial; the Defiant felt it was important enough to impact signing decisions. The 20 teams of the Overwatch League have each taken a different path when preparing for the 2019 season, and there are 20 different fates that will be determined over the next seven months. Whether new or established, each team has an identity waiting to be unlocked, and the people responsible for building each team each have a vision for that identity, whether it’s playstyle, achievement-based, or some other rallying point. Toronto, according to Won, will be an aggressive team, based on Bishop’s preferred style. 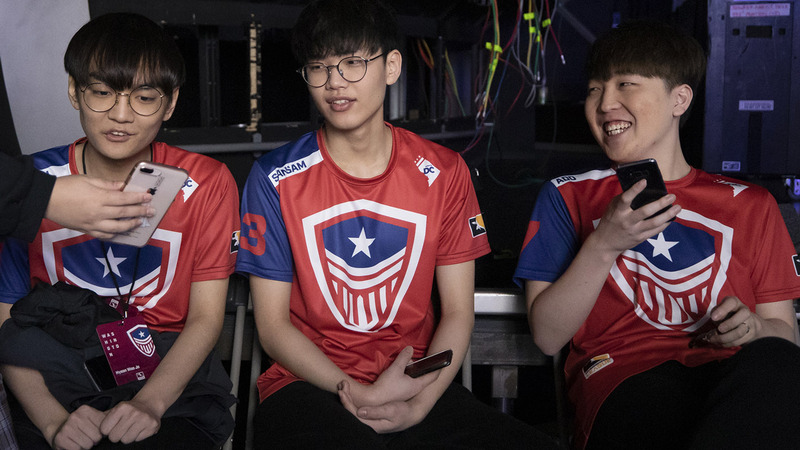 Yang wants Shanghai to prove critics wrong with an “all-around transformation.” Florida, Kim hopes, will be able to rely on the experience of their newly recruited players and make the season playoffs. Just as there’s no single blueprint for how to construct a roster, there’s no guarantee that a team will emerge from the forge exactly as it was designed. The season is a long and grueling crucible, and starting February 14, we’ll all gather around to see what emerges.